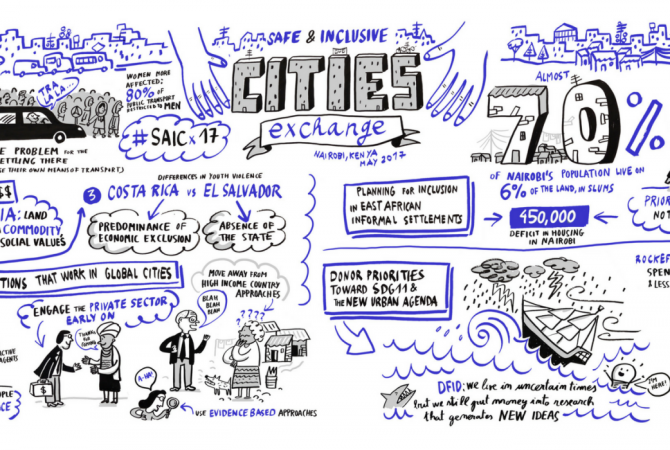 In late May 2017 CommsConsult’s Director Megan Lloyd-Laney, and Senior Associates Nyasha Musandu and Laura ffrench-Constant, travelled to the Safe and Inclusive Cities Exchange 2017, held in Nairobi. The CommsConsult team provided digital communications support to the conference, aiming to improve the reach of and online engagement around the IDRC’s Safe and Inclusive Cities research program. The conference brought together researchers, policymakers and practitioners to discuss reducing and preventing urban violence in the context of the New Urban Agenda. The exchange was an opportunity to share five years’ worth of research results, from 15 different research teams across 16 countries, as the research program came to a close. 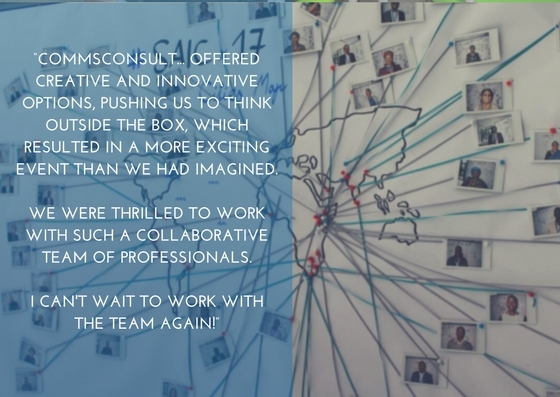 CommsConsult provided a variety of complementary outputs to boost the conference’s digital presence. These included: a preliminary webinar aimed at boosting the conference teams’ social media skills; a promotional trailer; a purpose built conference website; a conference app; a series of talking head interviews and Twitter graphics to capture key messages in real time; live social media reportage and summative Storifys; as well as a daily newswire providing a research roundup for each day of the conference. As a result the conference hashtag #SAICx17 trended on the final day of the conference in Kenya for 13 hours!